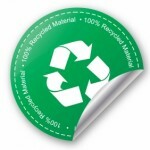 ADCOR CONSTRUCTION & SONS is committed to preserving the environment. We strive to leave the smallest carbon footprint possible by using environmentally friendly building supplies. ADCOR CONSTRUCTION & SONS believes in helping to further education here in Canada and worldwide. 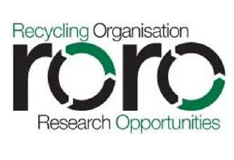 In conjunction with Giles Edwards at the Recycling Organization for Research opportunities, we are funding the shipment and installation of a Mass Spectrometer along with educational literature, scientific school book, Bunsen burners, scientific glassware, nitrogen generator which will make their lab fully functional and a superb learning environment for students. We believe in taking the extra step to help reduce waste and ensure a green planet for tomorrow. We donate used fixtures and materials to Habitat for Humanity and other charities where others can benefit from their continued use. We only use FSC certified lumber for all of our projects. The Forest Stewardship Council (FSC) is an international certification and labeling system dedicated to promoting responsible management of the world’s forests. FSC certification is your guarantee that the wood and paper products you purchase come from healthy forests and strong communities. FSC is an international certification system for forests and forest products supported by WWF Canada, Greenpeace, and the David Suzuki Foundation. Visit FSC Canada website for more information. Planting trees for a greener community. As an annual tradition, our employees plant over 1000 trees on behalf of our clients. 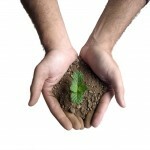 We use a percentage of our business revenue to purchase trees to reduce the impact that our company has on the planet. ADCOR CONSTRUCTION & SONS is pleased to support the endeavors of the Mutchmor Public School Greening Team. We are joining other community partners in helping them in realizing their Greening plans through the creation of an outdoor classroom and planting of trees. Owner, Shane Adsett, is an active member of the DAYA Foundation. Funds have been raised on behalf of ADCOR CONSTRUCTION & SONS for this organization, which assists in the education of Sudanese war orphans, including young girls, child soldiers, war orphans and other children denied the necessities of life. 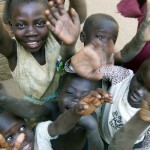 In January 2011, Shane visited Sudan in order to assess how we could work in conjunction with the DAYA Foundation. The Southern Sudanese government has agreed to donate land; construction drawings for a school have been completed as a result of the involvement of the DAYA Foundation and ADCOR CONSTRUCTION & SONS. DAYA expects to have charitable status in Canada by September of this year. Updates are available both on the DAYA and our websites. 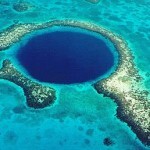 Along with their life-sustaining beauty, coral reefs also play an important role in the economy of Belize. A healthy reef is home to a myriad of different corals, fish, and reef creatures. Fish and lobster are farmed in nurseries on the reef to provide industry in Belize; tourism thrives as divers and snorkelers travel to witness this wonderful visual spectacle. Another function of a healthy coral reef is to decrease the erosion of the coastline caused by waves resulting from tropical storms and hurricanes. Shane practices catch and release. 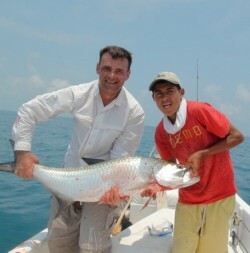 Shane has traveled to Belize several times for the purpose of fly-fishing expeditions. Taken aback by the grandness of Belize’s coral reef and how it positively impacts the country that he enjoys visiting so much, Shane decided to take part in its preservation. Due to the use of anchors by recreational and commercial boats, extensive damage is inflicted upon coral reefs every year. In collaboration with Placencia Mooring Masters (PMM), ADCOR CONSTRUCTION & SONS plans to install mooring buoys, which will allow boats to easily fix their position without damaging the coral reefs. We also pledged a sponsorship to PMM who has purchased an underwater hydraulic drill to aid in their initiative. For more information on PMM, a non-profit organization, visit their Facebook page. For updates and progress reports on the installation of the mooring buoys be sure to revisit our site for updates.